Positive: Good FHD IPS display; decent performance. Negative: Bulky; short battery life. 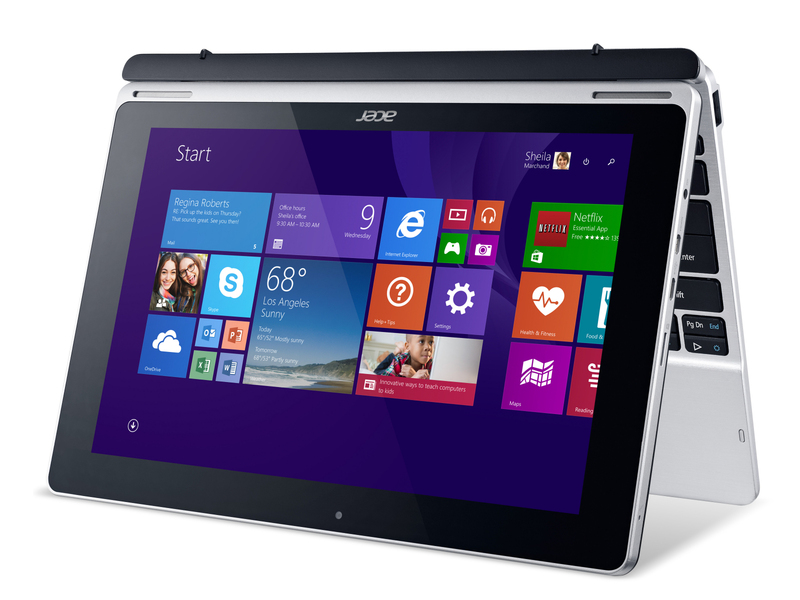 Model: The Acer Aspire Switch is a combination of a Windows tablet with a keyboard dock for those who don't want to decide between a tablet and a notebook. Certainly, the Switch 11 delivers more than enough performance for everyday use as it is equipped with an Intel Core i3 dual core processor clocked at 1.5 GHz and 4 GB DDR3 dual channel RAM. As for storage, the Switch 11 comes with a Lite-On-IT 64 GB SSD with 40 GB free. It also has a glossy 11.5 inch display with a resolution of 1920 x 1080 pixels driven by a standard Intel HD Graphics card. Additionally, the tablet-laptop hybrid comes with one USB 2.0 port, one USB 3.0 port, one HDMI port, a standard 3.5 mm audio jack, and a MicroSD card reader. For connectivity, it comes with an Atheroes Wireless Network Adapter for WiFi and Bluetooth 4.0. It also features a FullHD front-facing webcam, a chiclet keyboard in the keyboard dock without backlight and a 32 Wh Li-ion battery which can last up to 5 to 6 hours. 4012Y: Haswell-based ULV dual-core processor clocked at 1.5 GHz (no Turbo Boost). Offers an integrated HD Graphics 4200 and a dual channel DDR3 memory controller.» Further information can be found in our Comparison of Mobile Processsors.